BIG games on a BIG screen keep customers coming back! Big HD displays are investments that keep customers at the table; eating, drinking, bragging about the superiority of their fantasy football team, and spending their hard-earned money and time. These 120 inches of entertainment are part of the recipe for keeping customers entertained, and for making your sports bar the most popular in the neighborhood. We want to help you pick the perfect projector for your restaurant or bar. We've helped hundreds of customers - maybe even your favorite hangout - outfit their walls with larger than life HD sports. Read on for our top tips. Call us at 1-888-248-0675 if you have any questions. These are our top recommended models for this category. Still have questions about which sports bar projector is right for you? Let us help. Call us today at 1-888-248-0675! Sports Bar Projectors: How Bright Do You Go? Projector People customers Dave and Busters know that dark rooms make people feel safe. Safe enough to express their emotions. For instance, crying when a prized quarterback fumbles the ball. Dark rooms also help you save money and space when purchasing a projector for your sports bar. Projector brightness is measured in lumens. The more lumens, the brighter the projector. High-lumen projectors are typically more expensive than their lower-lumen counterparts. They also require more space for cool air to circulate around the lamp. 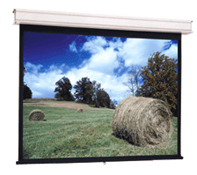 If you can, keep the space dark and place your projector and screen in a spot away from open windows and bright lights. Keep the following recommendations in mind when making your purchase. If you don't have control over your room's lighting conditions, or can only place the projector in a giant patch of sunlight, fear not. While higher-lumen projectors are a little more expensive, they have recently dropped in price and are still cheaper per inch than any flat screen on the market. Watch as Projector People expert, John Sullivan, shares with us the three main things you need to look for in a projector for your sports bar or restaurant type environment. 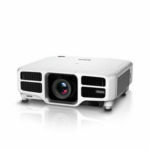 Projectors with the HD (1920 x 1080) resolution will give you the best image and the greatest connection flexibility. But keep in mind that you don't necessarily need a HD home theater projector for your establishment. The high contrast ratios and advanced image processing that are important in a home theater might not be as important in a sports bar. 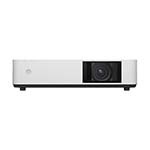 Projectors with the XGA (1024 x 768) or Wide XGA (1280 x 800) resolution are your next best bet. We hand-picked our favorite projectors to make your search easier. Special features allow you to project in small or uniquely-shaped spaces. Stock Up On Replacement Lamps! Projector lamps typically last 2,000 to 4,000 hours. That's an easy goal to reach considering sports bars run their projectors 12, sometimes more, hours per day. All of our projectors ship with at least one lamp. We recommend stocking up on a few spares so you don't go dark the day of the big game. Also, check out our tips to extended lamp life for advice on keeping the lamp going as long as possible. If your state or local laws allow smoking indoors, you might want to take an extra look at stipulations in the manufacturer warranty. Some manufacturers may not honor a warranty in a smoky environment because smoke can do damage to the optic system. The good news is, most customers never have to use their warranty. If you project in a smoky room, give us a call and we'll iron out the warranty details before your purchase. If you really want to wow your customers, invest in a screen that will improve your projector's image and offer your customers a more polished viewing experience. Watch the video below to learn more about the Screen Innovations Black Diamond Zero Edge and Fixed Series, Elite ezFrame and Da-Lite Cinema Contour, our most popular sports bar and hospitality screens. Whether you are a sports bar owner or a customer who wants to create a sports bar environment in your home, we hope these tips were helpful. As always, if you have more questions give us a call at 1-888-248-0675.